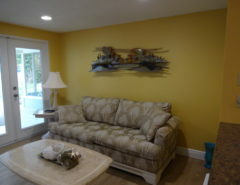 2 in 1 Foam underlayment 48 inches wide about 20 feet long. Free for the taking. In very good shape. ORIGINAL Tesla Wall Connector, BRAND NEW! I have a 2015 Forest River camper 36′ length, 3 slides, attic package. It is in very good condition. $27,500.00. Like new kitchen set with 4 chairs has granite top.chairs are cast iron. Privacy blind for front door side light. Standard size door. 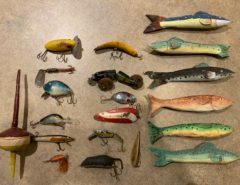 Antique lures for the collector. $25.00 for all. 5 Antique fishing reels. Perfect for the collector. All for $100.00. Good condition. Perfect for a camera collector. 11 dolphin drawer pulls. New with tags. Super cute! Indoor electric grill by Presto in good used condition. I just don’t use it. Retro stirring popcorn maker by Hamilton Beach. Sells for $40 new at Home Depot. This is in gently used condition. Used electric WOK in great condition. I just don’t use it. Wanted. Mid 2010 27″ iMac. Must be good condition. Apple will give $150 in trade in value for this computer.